It can operate for six hours per tankful of gas at rated load or an estimated 18hrs at load. This allows the generator to realize a 25% increase in run time and a 20% increase in fuel economy over the outgoing EU6500is model. 7000 VA of enhanced commercial grade electricity with the wave form distortion factor of less than 2.5%; performance exceeds liquid cooled generator models known for quietness and reliability. Accomplished through a separate triple chamber construction, a centralized intake/exhaust system and the Eco-Throttle design; these features all contribute to an operating noise level of 60 dB. 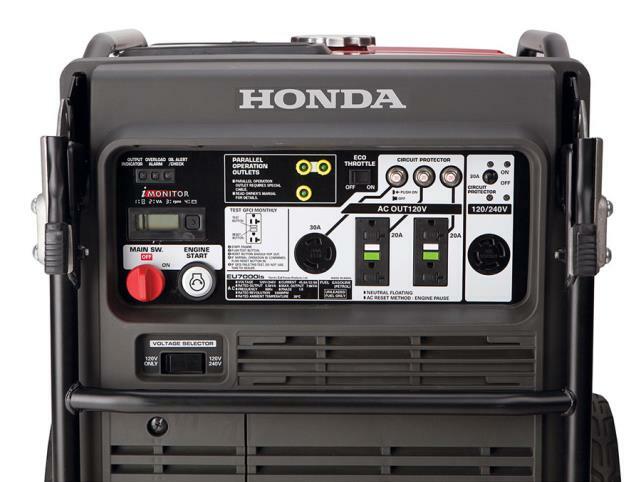 Honda inverter technology, designed to power computers and sensitive electronic equipment that demand consistent electrical current with a stable sine wave or signal. The iMonitor digital display provides helpful information such as hours of use, performance data, battery charging status and other on-board diagnostics. 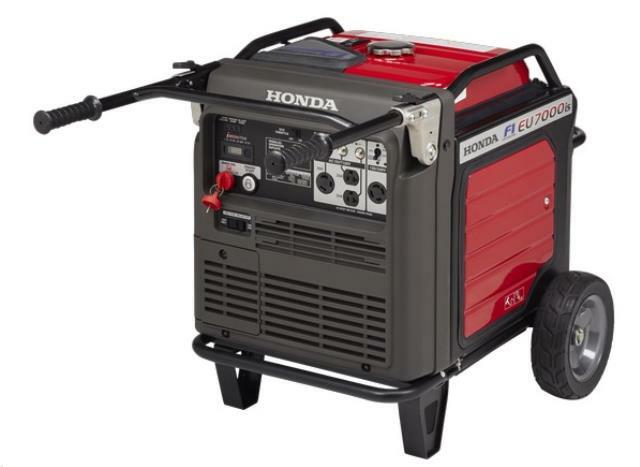 Dry weight of 262 pounds only two pounds heavier than the Honda EU6500is generator. The EU7000IS has separate triple chamber construction which is able to achieve a noise level of approximately 60 dB at rated load. 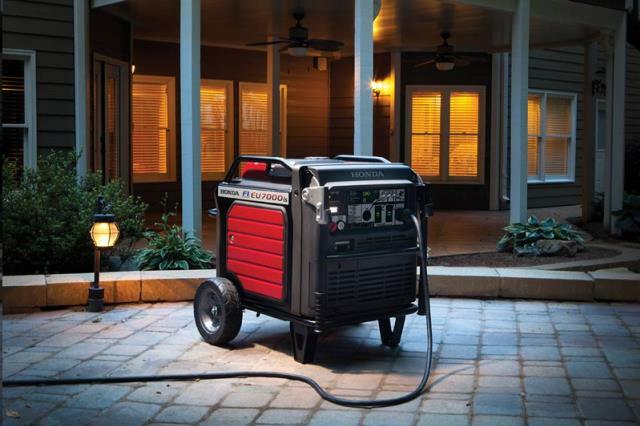 * Please call us for any questions on our generator honda 7000is rentals serving Omaha, Nebraska and surrounding communities.